Another budget beauty game changer. I love those! I've been on a quest for about 5 years to find the perfect lip toned lip liner for myself. And I have searched pretty extensively. Everything either was too pink, too orange, too brown etc. The closest I came was MAC Sublime Culture. And although I liked it enough to use it up twice, I never really felt it was "the one". I just found her! Meet Essence Cosmetic's Soft Rose. I like her... a lot. 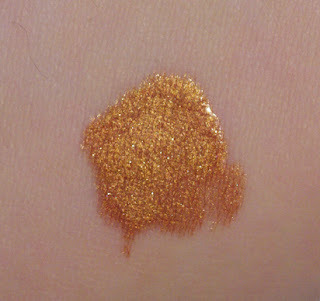 Not only is this my perfect flesh toned lip liner, it's also the nicest feeling liner I've tried on in quite some time. 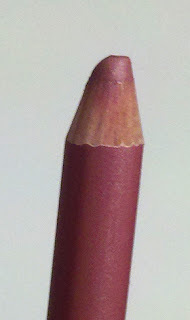 I strongly dislike pencil lip liners in general, preferring the feel of cremestick liners, like MAC Sublime Culture. I find pencils to be dry and tugging and just not pleasant to work with. 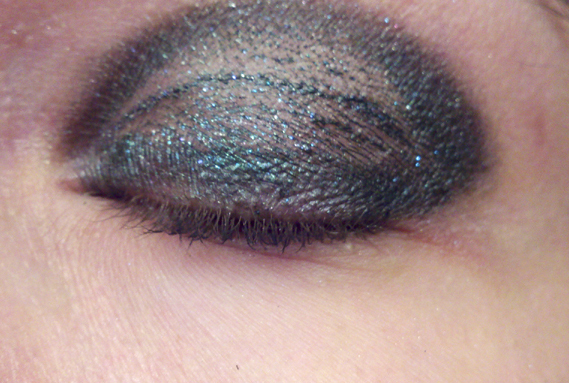 Essence liners are nothing at all like that. 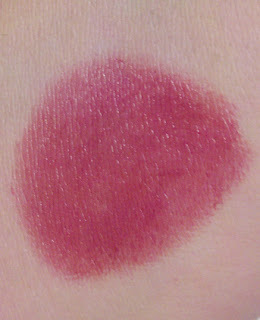 Soft Rose applied very smoothly and evenly. There was no tugging or pulling, it glides across my lip very easily. It also blends out with the soft touch of a finger. 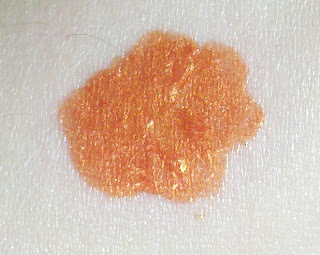 The color is a very slightly warm rosey peach. It is "my" perfect lip tone. Be wary when using other peoples suggestions for neutral liners. This is such a person specific thing. 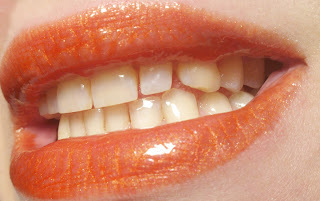 It's not only based on your under tones but the depth and color of the pigmentation of your lips. 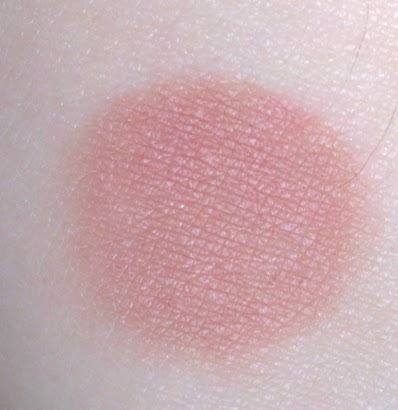 I have a fairly strong pigmentation to my lips, kind of pinky and my skin undertones have both yellow and pink, making me a slightly warm neutral. So this shades works for me. 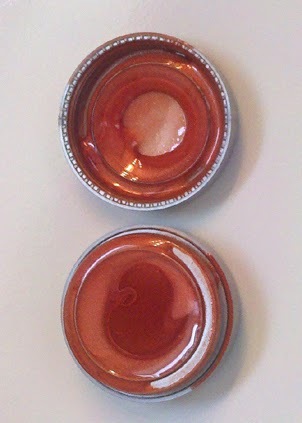 Here is a comparison of the lip liners I've been using as lip tone over the last few years. you can see they are similar but also wildly different from one another. Anyone of them would be an ideal lip tone liner on the right person. Sublime Culture is more brown and slightly orange. Chestnut is rosier. If Sublime Culture and Chestnut hooked up, you'd have Soft Rose. These are really nice liners. 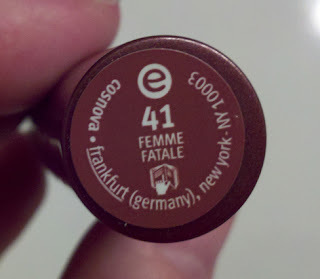 This has not dried out my lips, it keeps a ever so slightly creamy feeling to it when worn. And I don't have that annoying orange halo I seemed to get when I wore Sublime Culture under glosses. The last big plus on these liners would be the price tag. .99 cents! For one US dollar you can scoop up some really fine liners. They come in 6 shades ranging from pinks, neutrals, brown, berry, and reds. Something for everyone. I really want to go back and try some more of this line. So far I have not been disappointed. 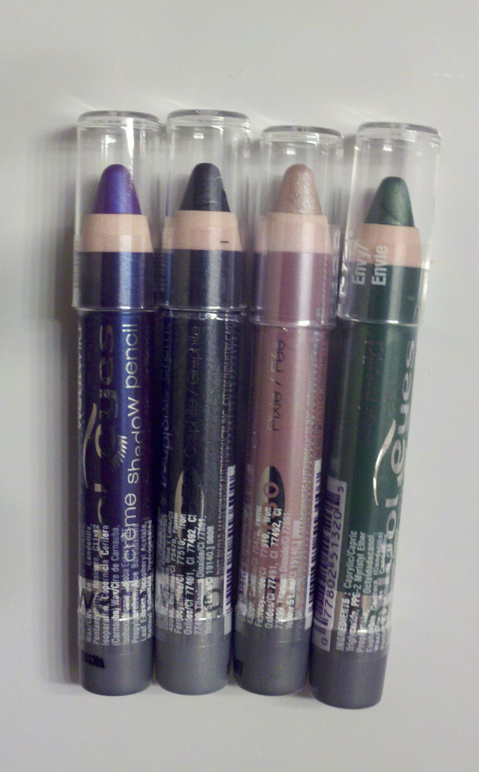 Price: I paid .99 cents at Fred Meyers ULTA is selling these for .49 cents! The product I am reviewing here are the Morgana Cryptoria Lipglosses in the 3.5 gram mini pots. These are not sample sizes and come filled almost to overflowing (see above). I could probably use whats clinging to the lid for a year and not touch the main pot. These are generous volumes. Do yourself a favor, let these sit right side up for a few hours at least before opening or you will be scrubbing this off your floors...your pants.....the bathroom door (true story). The formula of this is like nothing I've tried. The feel is that of a lovely, silky non sticky gloss. 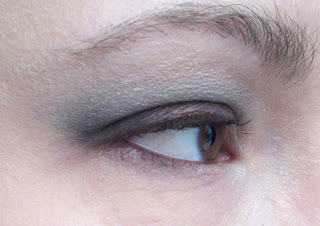 Almost velvety in texture. The color payoff? 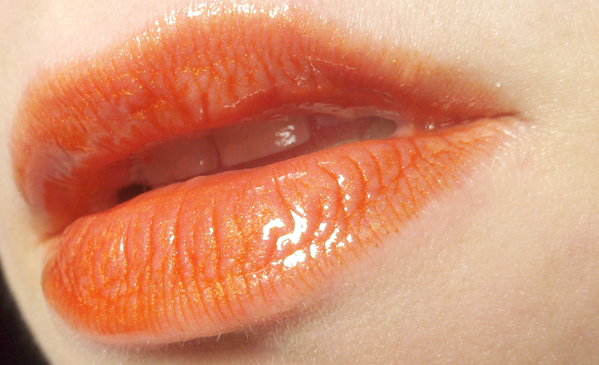 To call something this gorgeous a gloss is almost a crime, I describe these colors as molten lipstick. I simply have never..ever....EVER, seen a gloss that gives you color this opaque, this intense, this...sinful. The only comparison I can think of is perhaps Illamasqua's Intense Lipgloss line. There are simply no words to accurately describe my joy over this product. And the color selection rivals and shames nearly every major industry brand out there. You also have your choice of over 20 scent/flavors you can add to your gloss. I just counted 29 unique options...that is insane. You can choose unscented if you are bothered by scents, which will be plus for sensitive noses. A word of caution, make sure you really like the scent you pick, because the ones I chose pack a punch. 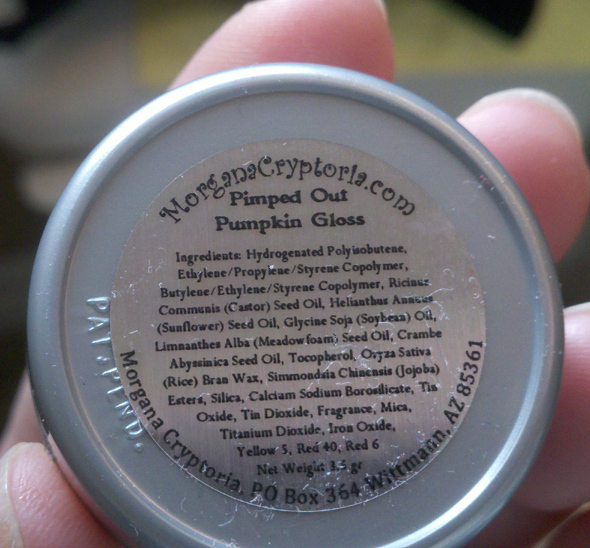 I picked Chai Tea for Alloy and Clove Oil for Pimped Out Pumpkin. If you like plumpers or just enjoy that tingly sensation, choose something like Clove or Cinnamon. 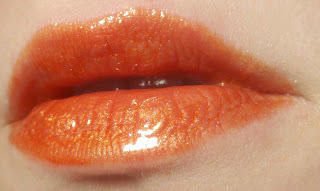 My Clove Oil gloss has an intense warm, burny feel. Now I don't really like that sensation myself, I prefer mint burn to cinnamon burn. But it's something to keep in mind when picking your custom scent. Okay, less talky more swatchy!! Alloy is an intense liquid gold gloss. This is pure luxury for your lips. 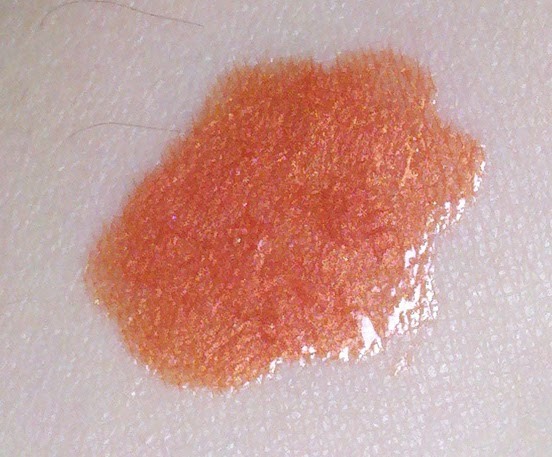 As intense and opaque as this is, it is really quite wearable. 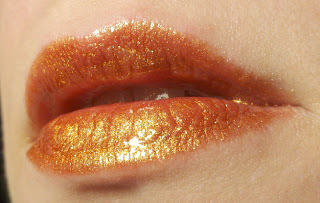 I would use this on it's own or layered over a darker lipstick for an interesting effect. You need so little product to achieve the look above, the pigmentation is just amazing!! I can't wait to wear this out on a beautiful summer evening, I'm all fluttery just thinking about it. This is still better then most glosses in terms of payoff and wear, just know some results will differ. 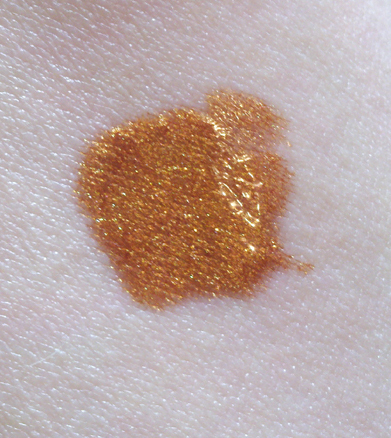 I think the Pumpkin shade will ultimately work better over a liner or lipstick, something to keep it from moving around and settling into lines. Since these are not tacky, they don't have the longest wear time. Maybe 1-2 hours, a little less on Pimped Out Pumpkin, a little more on Alloy. My biggest complaint is I can't pack these around for quick touch ups. If they are not perfectly level when you open them, you will be wearing them on more surfaces then just your face. You can depot these into tubes, which is what I plan to do. Melissa posted on Facebook that the pots will be phased out in Feb 2012 and will be replaced by a tube, size is yet to be determined. I think this will be more user friendly and I welcome the change. I saved the best part for last. 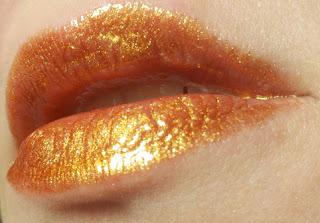 You know what you pay for a generous helping of handcrafted, custom blended, intensely colored lip glory? $5.00 for a 3.5gram mini pot $12.00 for 10 gram tube I'll give you a minute to let that sink in....OK? Go now! Shop!! 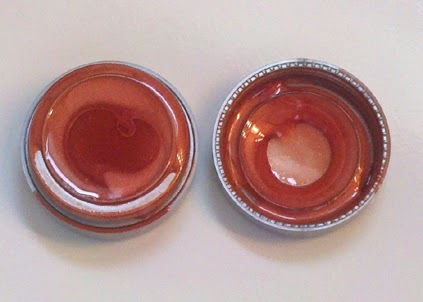 Price: $5.00 for a mini pot $12.00 for a tube **Thanks to Sandra for correcting my error on 10gram pricing! Morgana Cryptoria is an indie brand I've wanted to try for a long time! I first heard of them through the Blog Phyrra and I was skeptical. The name Morgana Cryptoria in my mind conjures images of ghoulish, gothy colors, and don't get me wrong, they have ALL of that, but they do so much more. 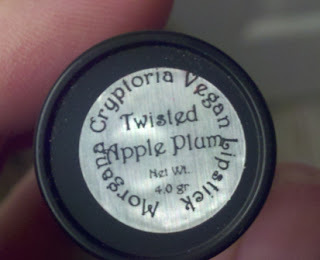 As you can see by the label, Morgana Cryptoria makes amazing handcrafted Vegan lipsticks. Her colors range from gothy,vampy shades like Ravenna and Love Lies Bleeding to unabashedly fun shades like Cosmic Ray and Ice Queen. She really has something for everyone. 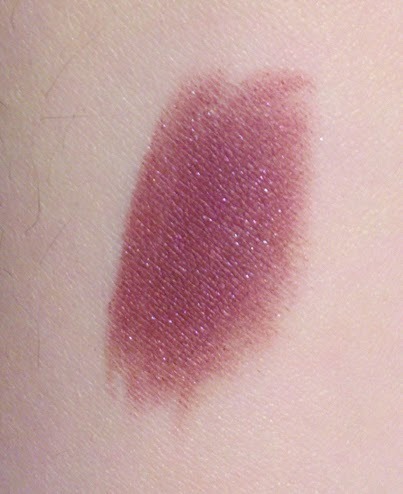 The shade I decided to try out was Twisted Apple Plum, which was a shimmery version of her Apple Plum. Twisted Apple Plum is an absolutely true brick infused with a pinky fuchsia glitter. It is very opaque on one pass and applied easily out of the tube and with a brush. 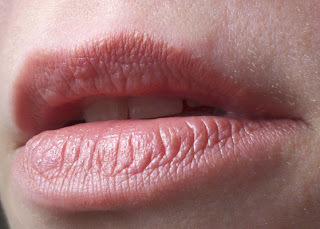 It does feel a little dry on my lips, but not overly so, pretty much what I would expect from this finish. *update (After letting the lipstick rest overnight it no longer feels dry on application.) I did notice the lipstick bullet itself started to look very bumpy and chunky after I applied it, but it did not effect my ability to use it..just looks kind of weird. Melissa states on her webpage that you really need to let these products come to room temp for best application. I did not let this get "exactly" to room temp before I put it on, because I have the patience of a small child when it comes to makeup. So I may be the cause of the lumpiness. Wear time is really good so far. At least 3-4 hours. I did experience some lingering dryness, but that is easily combated with a balm before applying the lipstick. 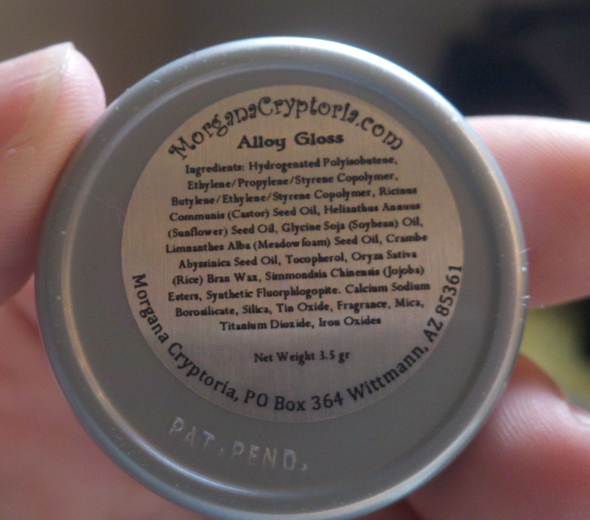 I really like what I am seeing from Morgana Cryptoria. This lipstick is $12.00 for 4 grams which is a good price. Consider MAC is $15.00 for 3 grams. I know dropping $12.00 on an unfamiliar brand can be scary, but you don't get a cult following like Morgana Cryptoria unless you are doing something right. 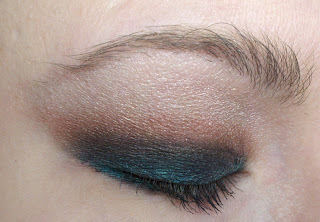 Take a chance and try out Melissa's amazing shades! *I want to add this note. Like a lot of indie brands, orders take time! Be patient orders can take a month to process and ship. Know what to expect before placing your orders. Yes! New things. During one of my cosmetic walkabouts, I came across a display for a cosmetic brand I was entirely unfamiliar with. The brand was Essence and it proclaimed to be the #1 Brand in Britain. 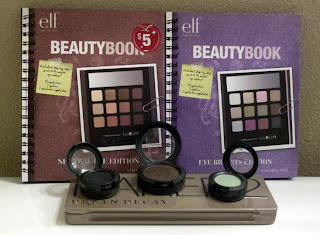 Looking at the prices and offerings, it looked to be a European equivalent to Wet n Wild. 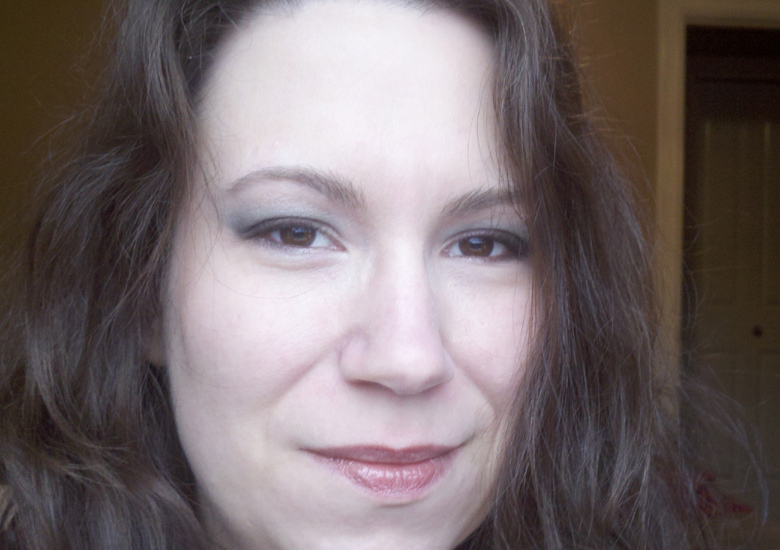 They had the usual budget cosmetic fare, but I decided to try out their lippies first. The shade I chose was Femme Fatale. Knowing nothing of the line it looked to be a rosewood/brick shade. I was unable to tell what finish it was by the label, but it looked pretty enough. I was drawn to one feature though in particular..the packaging! Something about the packaging felt so 1970's to me. Like a bottle of Vidal Sassoon. I could see myself taking this out of my gold lamé bag inside Studio 54. I just like the look of it......the look of it. From a practical standpoint I'm not a fan. 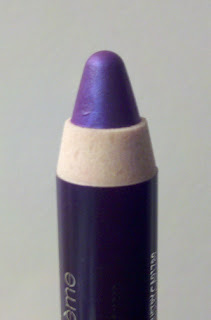 The plastic neck inside surrounding the bullet is short, so it just barely conceals the retracted lipstick. The twisting mechanism is a little loose so this can easily turn itself up in your purse or pocket and smash itself inside the cap. Not a deal breaker but something to keep in mind. 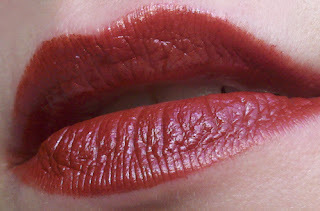 Femme Fatale felt similar to a MAC Lustre finish. It applied semi opaque and had a pleasant glossy texture that feels comfortable on. Being similar to a lustre the rosewood/brick shade applies closer to a sheer grapey/berry. I believe Almay had a shade called Raisin long, long ago that was very similar to this. A "my lips but better" look. The scent reminded me of the burnt sugary scent of the Buxom line. Not synthetic, but it does linger a while after application if those things get to you. For a sheer glossy finish, I experienced pretty decent wear time. 2-3 hours before it really started to fade down. It does last longer over a liner/primer and a liner would be good with this as it will bleed out eventually, again not as badly as I expect with a glossy lipstick. 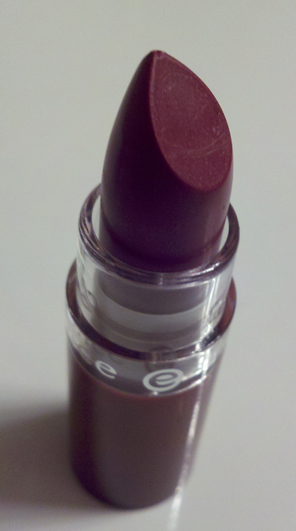 Btw, Essence has some amazing lip liners..I'll review those later. Where to buy: I found mine at Fred Meyers/Krogers. I can't find much information on the American line right now. *Update I found the US Website here. Price: $1.99 for Lipstick Think Wet n Wild range on the rest of the line. Very reasonable. WOW! Worth it, totally worth it. This is the brow I always wanted. I went in with hope but a lot of skepticism. I never liked my brows, they are big, unruly, patchy, just not what you think of when you imagine a manicured brow. I struggled with them, abused them, paid others to abuse them when I got tired of doing it myself. I usually asked my hair stylist to shape them for me, and consistently walked away with uneven, thin, McDonalds arches that I tried to convince myself I liked. I figured if I could have decent brows it would take so much time and effort to achieve that maintaining them would be nigh on impossible. I was shocked how little she did the achieve this shape. She took her time, examined my brows, my skin, the shape of my face. She gave me a mirror, explained where my challenges and strengths were. She actually made me feel lucky to have the brows I have. This is the real deal, not the usual cookie cutter, get em in, get em out I am used to. Another plus, no hard sell! This may differ by location, but there was zero pressure for me to purchase Anastasia products. I really assumed that was just par for the course and understandably so. Hell, at Dosha I was in the door maybe 1 min tops before this perky blond attached herself to me like a lamprey and tried to sell me everything she could get her hands on. 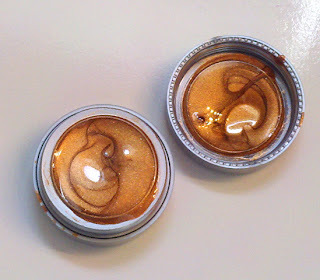 If you have an Anastasia counter, I recommend taking a look. My counter was in the middle of the Nordstrom cosmetic department and I was able to watch the woman before me have her brows worked on. If you are near a counter, peek around and watch how your aesthetician works. It's kinda cool to watch. 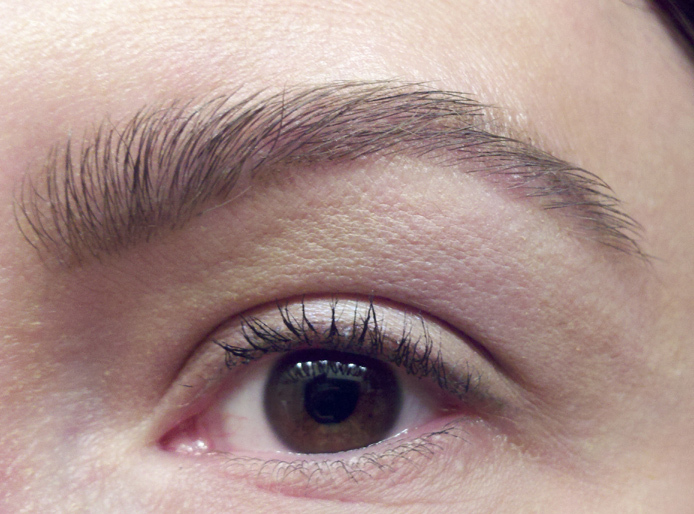 Price: My eyebrow service was $30.00 and I assume prices can vary. I've decided to do an impromptu review of the services offered at the Anastasia counter of my (not so) local Nordstroms. I have never had a good eyebrow experience, including the time I effed mine up so badly in high school I had to pluck them out entirely. The above is me today, before the session. I just recently (2 weeks?) had them shaped at Dosha Spa and Salon and I was seriously underwhelmed, so after hearing many raves about Anastasia, I've decided to take the plunge. 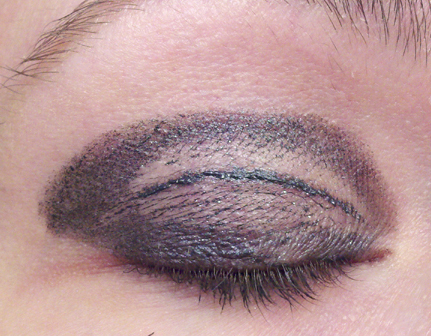 The service costs $30.00 and will employ the signature Anastasia technique. I am so easily sidetracked sometimes it's not even funny. I happened upon these fun little shadow sticks at a store today and since they were Buy One get One 1/2 off I decided to try them out. The instantly reminded me of NYX Jumbo Eye Pencils. I have always wanted to try NYX pencils, but am STILL furious over the atrocious customer service during their 12 year Anniversary sale...remember the one where you couldn't you know, BUY anything? Well needless to say, I am not buying those anytime soon, but these beauties looked so close they had to be similar right? Let's see. Well, not much to say, total beauty fail, however, I am not giving up. 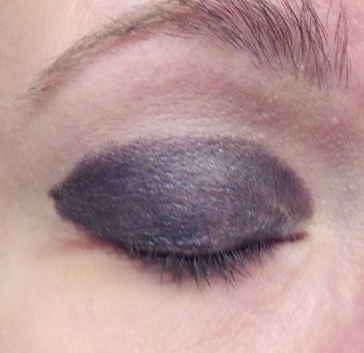 Because I would never use this over a bare lid, even if it looked great. So to give them the benefit of the doubt, I pulled out all the stops. 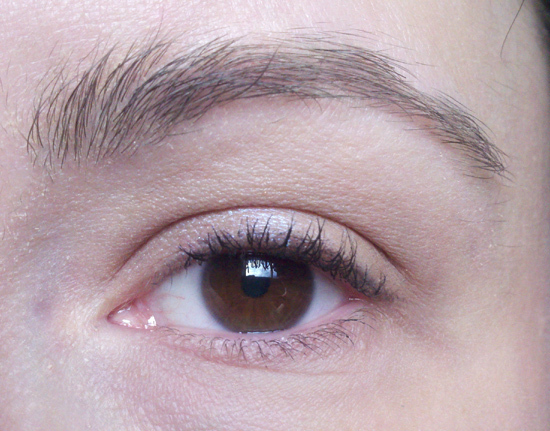 These next were done over MUFE HD Foundation + TARTE Smooth Operator Clay Finishing Powder AND E.L.F Eyelid Primer. Nothing is getting off this lid without divine intervention. Speaks for itself. I was really bummed out about these results. I've been experiencing budget beauty euphoria lately and these took the wind out of my sails. Like all brands you get hits and misses. The good thing about these is I spent under $10 dollars so it doesn't sting as bad as some of the $30 abominations MAC has been releasing lately. I still believe Wet n Wild is a brand whose quality continues to grow and grow. But with some products, the budget formula just wont pay off for you. I can't recommend these at all. I do not see a circumstance where these would perform even adequately. I had some spare time this morning and I was itching to try another look from Jangsara. 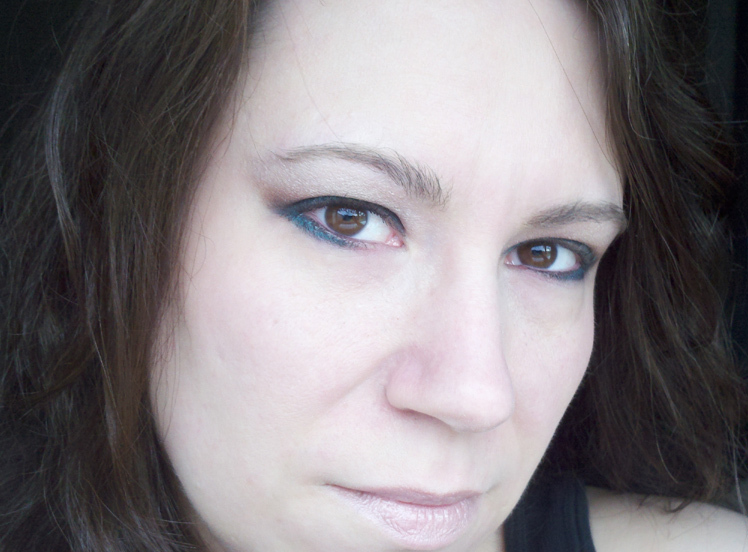 Today I chose her Urban Decay II look. I did not have what she used so I duped everything as best I could. 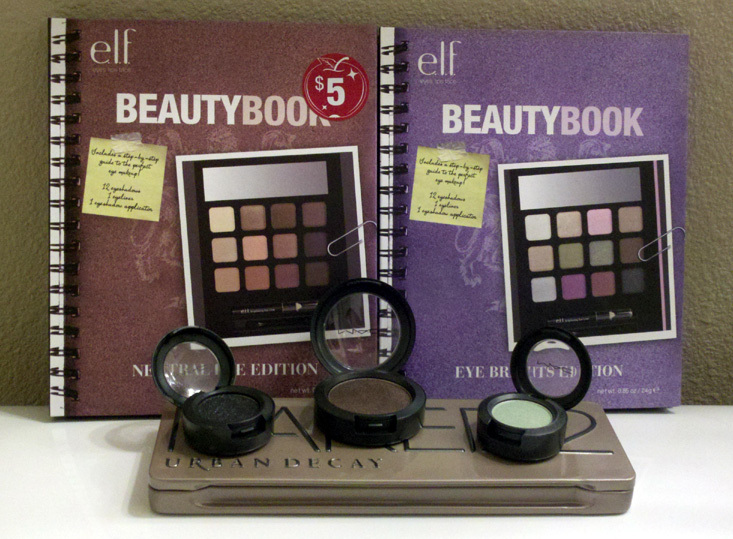 Those E.L.F books are great performers at $5.00 each. Mine are a few years old so I won't review those but you more then get your moneys worth! 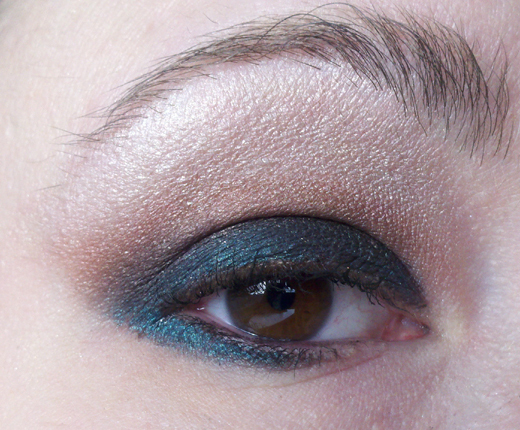 I really enjoyed recreating this look, not all of Jangsara's look work for everyday, well not where I work at least. 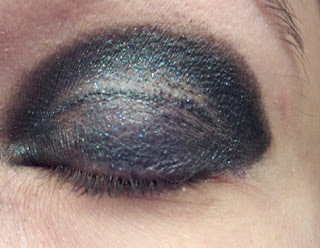 But this eye was dramatic, yet soft enough I wore it out during some errands. I loved the colors she used, but you could swap out the aqua for a rose or gold and get some really diverse looks. Another reason I like doing these looks is it gives me a chance to dig through my shadows and use some long neglected shades. I've owned Aquavert for at least 2 years and before today I used it precisely zero times. The old swatch and drop. Jangsara uses color fearlessly so her tutorials are a great way to shake off your stale beauty routine and live it up! I would love to see what looks you all are trying so feel free to share them! So, don't want anyone to think I am slacking. We are dealing with sick kids, snowy weather and that is not leaving much time for reviews and testing. 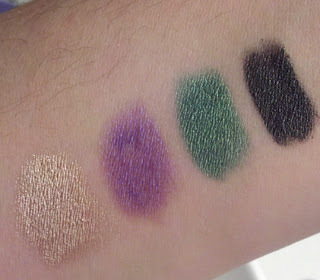 BUT, I have some great things in the works, including my first impressions of Morgana Cryptoria, some Zoya Nail Polishes I am really excited about and more shadows from The Body Needs. I also have a review I am working on for E.L.F Liplock pencil and a UD 24/7 vs MUFE Aqua Liner Faceoff. 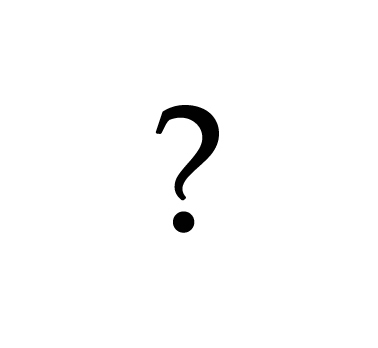 Lots of good stuff to come so hold tight and we should have some fun stuff up tomorrow! 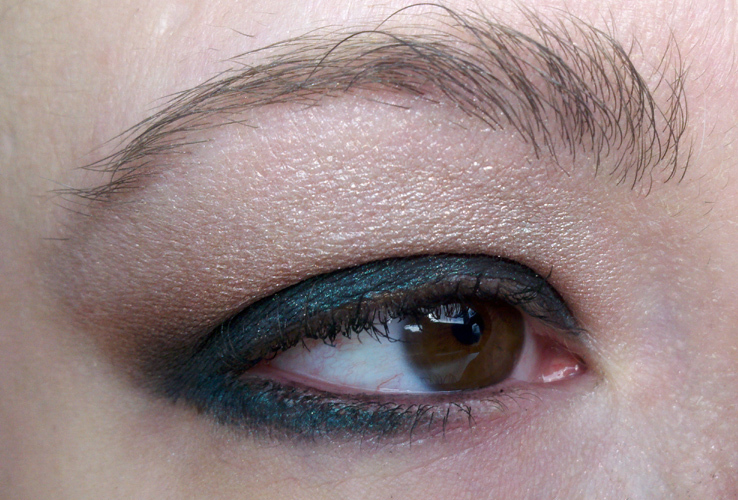 TBN Blackened Turquoise +Jangsara = Sunday Look! I've wanted to do a post like this for a while and today the stars aligned so here it goes! Fair warning, this is a pic heavy post because I am so happy how this all turned out! A while ago, my girl crush Jangsara posted about a wonderful cosmetics company called The Body Needs, in particular an amazing shadow line called the Blackened Collection. This post lead to my own review of The Body Needs here. 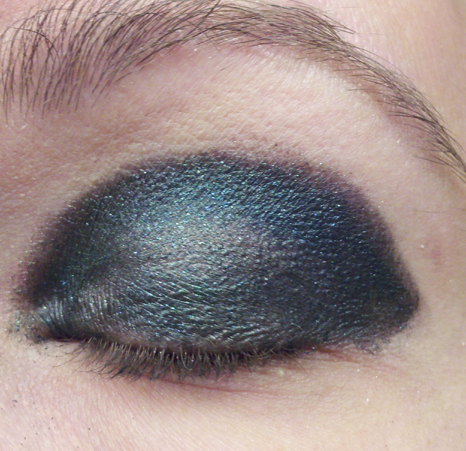 Since then I've been dying to use TBN Blackened Shadows in a look inspired by (read: blatantly ripped off) the lovely Jangsara. 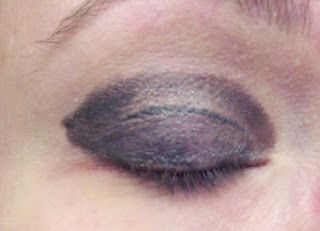 She has amazing step by step tutorials and with her help and alot of practice you can recreate some stunning looks. Unruly brows make every look better! The look I am using today is Jangsara's Caribbean Cruise . I did not have everything (anything) she used so I just duped everything as close as possible. 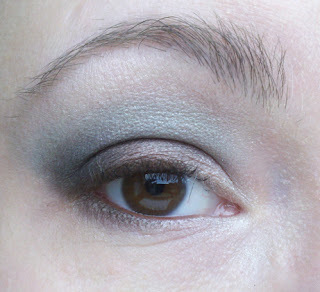 The beauty of her tutorials is you can substitute colors you like and have. I do recommend copying one or two as closely as possible, it really helps you get a feel for how your shadows work together and compliment one another. I'll explain that more later. One way following her color choices as closely as possible paid off was in duping UD Oil Slick with MAC Black Tied. I was really nervous using this. 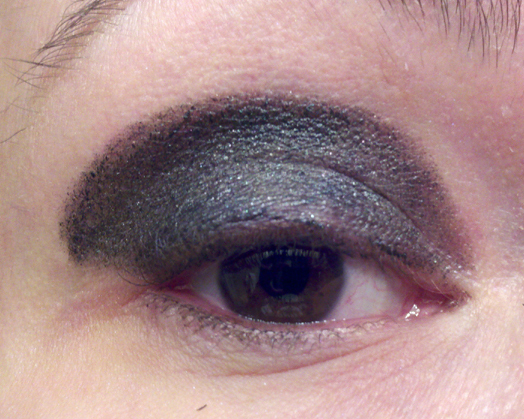 I normally only use Black Tied as a liner and in her pics the crease definition looked almost bronze, I was not wrapping my mind around how a black shadow could look anything other then black. Well once I got in their and starting using the MAC Black Tied to blend out the MAC Cut to Fit, it did blend into a blackened copper color. On my own I don't know I would have put these colors together, but they work so well. If I want to you take one thing away from this post, it is don't be afraid to try new things and don't be afraid to fail. For every look that works, I left 2-3 in my wake that failed... utterly. That's how we learn. 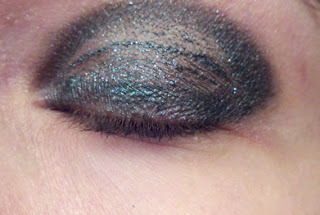 I also implore you to visit Makeup Your Jangsara Her creativity and talent are infectious! Also, don't forget to swing by The Body Needs before 8 CST tonight January 15, 2012 to receive 24% of your order using code 2424. I am not affiliated with TBN, I just really adore their products and service. The Body Needs 24% Off for 24 Hours! 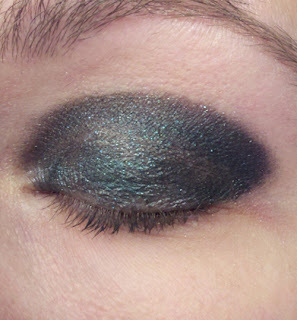 L'Oreal Infallible Eyeshadow Awwwww Yeah! The Body Needs Mineral Shadows!